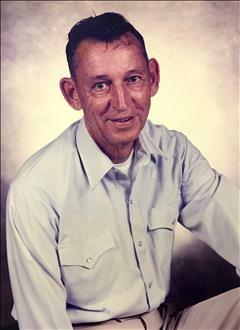 Jimmie Brice, a longtime resident of Henryetta passed away peacefully at his home surrounded by his family on Friday, February 1st, 2019 at the age of 93. He was born June 30, 1925 in Henryetta to James & Maude (Eddington) Brice. He graduated from Henryetta High School and married Barbara Roberts. They were married for over 30 years until she passed away in 1984. Jimmie worked as a machinist at PPG industries until his retirement in 1981. He had a small engine repair business for many years. He was fortunate enough to remarry in 1989 to Eunice Dwiggins and enjoyed over 30 wonderful years before his death. He is preceded in death by his parents, his wife Barbara Brice, brothers, George Brice, Kenneth Brice, sisters, Florence Ditzler, Aleene Joseph, Jewell Mello, Eva Grisham, and Betty Varner. Also by a host of nieces, nephews, friends, and other relatives. Viewing for Jimmie will be on Sunday, February 3rd from 2pm until 8pm with family present to greet friends from 2-4. Graveside services are scheduled for 10:00 a.m., Monday, February 4th, 2019 at Westlawn Cemetery with Rev. Ryan Wells officiating. Services are under the care and direction of Integrity Funeral Service.